Boulder City Council delayed a vote on a new mission statement for the Historic Preservation Committee on Tuesday night, forcing supporters of a new preservation ordinance to wait a little longer. 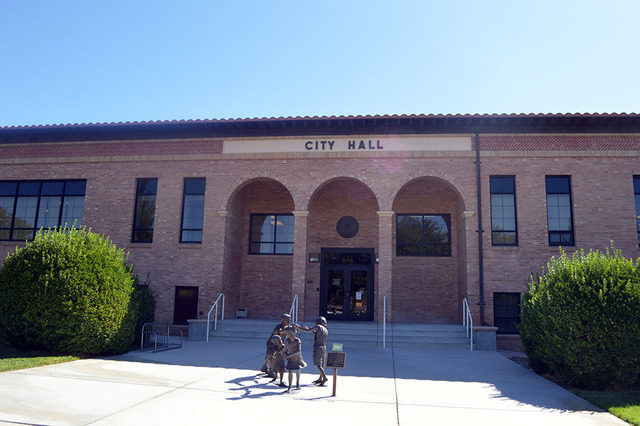 Council members unanimously supported the committee’s new mission statement, but felt it needed to be looked at by City Attorney Dave Olsen and better address the concerns of the city’s Planning Commission. Despite the planners not approving the preservation committee’s mission statement or request to bring it to the council, the committee asked that council look at it and consider approving it. Councilman Cam Walker expressed the same sentiment. The preservation committee based its new mission statement off of Connecticut’s Historic Preservation Ordinance with a few changes to make it less regulatory. The mission statement goes on to list specifics such as preserving the architectural structure of historic buildings, reusing them to keep them economically viable and enhancing the attractiveness of the area where they are located. There seemed to be confusion as to how regulatory the new mission statement would be to the city and private homeowners, with members of the planning commission and supporters of a stricter preservation ordinance thinking the mission statement would potentially create new regulations, and preservation committee member Kiernan McManus stating that it did not have regulatory power. However, Planning Commissioner Fritz McDonald said the mission statement as it was could lead to future regulations that would be too stringent. McDonald said he was proud of the work done by the committee and that he looked forward to finding a mission statement that suits everyone. Many supporters of the mission statement believed it was the only thing that would protect historic buildings from city officials whom they felt did not take preservation seriously enough. Boulder City resident Peggy Kelly Durfey said the mission statement needed to be stronger as she invoked the ghost of the Old Boulder City Hospital, which was torn down last year. After the meeting Durfey said she was unhappy with the council’s decision to table the vote. Boulder City resident Cheryl Waites gave a teary public announcement pleading the council to pass the mission statement. Despite her plea, Waites and other supporters of the ordinance did not get their vote, leaving many of them frustrated and noticeably angry with council members. “If the city is so concerned about private property, why do they even have regulations on private properties now?” resident Mike Morten asked. McManus did not share their frustration. Councilman Rich Shuman said he and the rest of the council are supportive of historic preservation, but the statement needs more work. The ordinance will go back to the Planning Commission during its next meeting. Since the ordinance was tabled it only has 30 days to go back to the council in its current from, a timetable that city officials said will not be met, meaning the bill will have to be resubmitted. In other news, the City Council decided to table the rest of their agenda because of the absence of Mayor Rod Woodbury and City Manager David Fraser.